Woodbridge, NJ – April 16, 2018 - Mayor John E. McCormac joined Ingerman, BCM Affordable Housing, residents and local officials to celebrate the grand opening Jacobs Landing, an affordable rental community, formerly the site of Woodbridge Gardens, located in Woodbridge, New Jersey. The ceremony marked the opening of the first two buildings in Phase One of a large, multi-phased redevelopment project. In this first phase, an existing 66 units were demolished and replaced by 84 modern rentals in a mix of one, two, three and four-bedroom layouts across seven, three-story buildings. Five units are set aside for homeless individuals and families. The community offers residents ample parking, community space, and a full social service package including mental health counseling, substance abuse programs and a host of medical and legal advocacy programs. All of the apartments feature spacious layouts, full size washers and dryers, oversized windows, central air, ceramic tile baths, wood plank flooring in the living rooms and wall-to-wall carpeting throughout the remainder. Kitchens feature a full appliance package including a dishwasher and a garbage disposal. There are both fully accessible and adaptable units, as well as fully-furnished supportive housing units in the community. Financing for this project will be provided through a combination of equity from the syndication of the Low Income Housing Tax Credits from the New Jersey Housing and Mortgage Finance Agency, transferred reserves from the Woodbridge Housing Authority, an Affordable Housing Trust Fund contribution from the Woodbridge Affordable Housing Corporation, and other financing from Citi Bank, The Richman Group and Federal Home Loan Bank. “I have been working on raising the financing for this project for no less than 17 years through three mayoral administrations and two housing authority administrations. It simply has not been an easy lift. That being said, Mayor McCormac told me that this was a very important project that he really wanted to get done and I simply would not give up until the funds were in place. Now that the first few buildings are complete and the first set of residents have moved into their new homes I simply could not be happier,“ stated Bruce Morgan, President of BCM Affordable Housing. 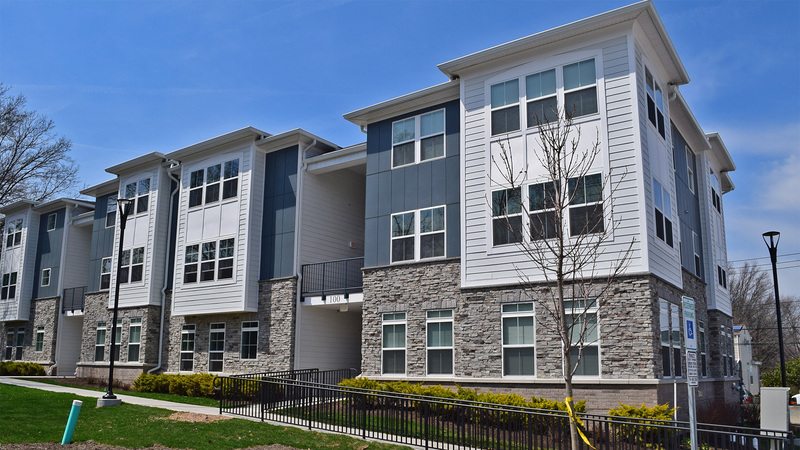 Ingerman is a leading developer, builder and manager of award-winning multifamily communities throughout the Mid-Atlantic region. Since its inception, the company has been responsible for the development of more than 100 sites representing 8,400 units with total development costs exceeding $1.4 billion. Ingerman was founded on a guiding principal: to bring together a highly talented and motivated group of real estate professionals to create lasting, quality residential communities that are strategically financed and managed through persistent attention to detail. Today, that mission continues to drive our unwavering focus on delivering high-quality housing and superior services to all of our stakeholders — investors, community partners, and residents.